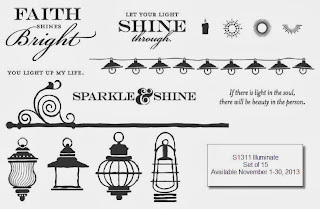 I'm so excited that you're here for the November Stamp of the Month Blog Hop! 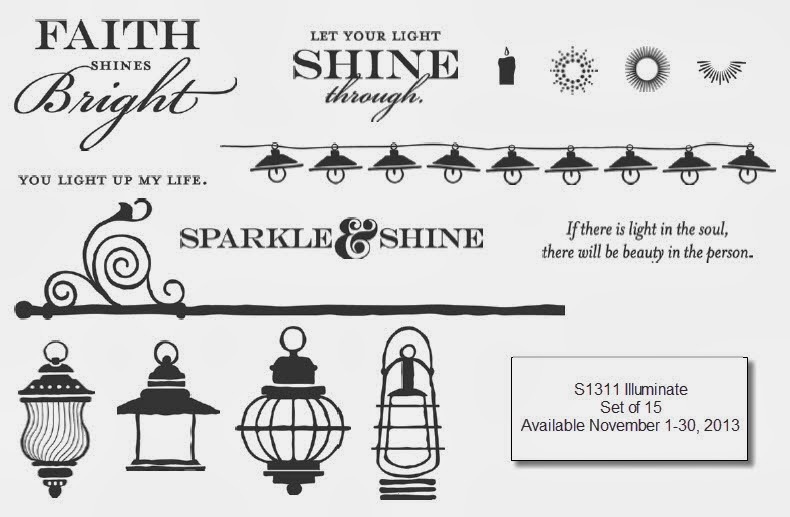 This month's stamp set is called ILLUMINATE, and has fun lamps and lanterns on it. You can only get it in November, and it's just $17.95...unless you place a $50 order, then it's just $5.00!! If you've arrived here from Teresa's blog, welcome! Here's the stamp set, in case you haven't already seen it. I know, it's a little basic looking, but it's got some cool things going on. (2) You can see where you're stamping. (I love this because I am fussy.) I skipped one of the lights on purpose. Inside I stamped "I miss you." I think I might sponge some Sky or Crystal Blue on the white -- it just seems so plain. 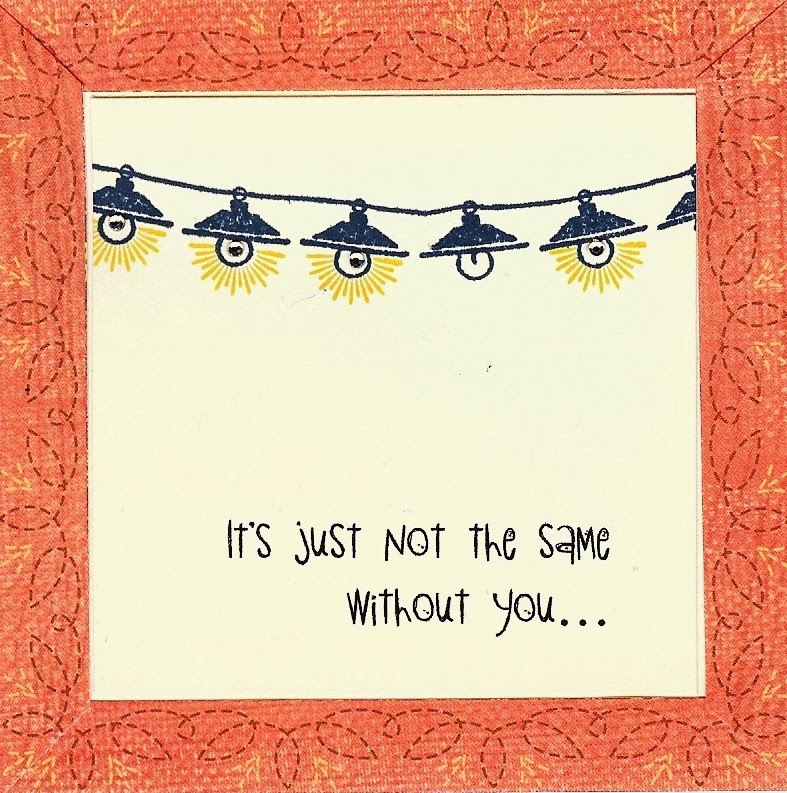 I love the lamp post and choice of lamps in the stamp set...so I wanted to try using it. AND I wanted to use the Washi Tape (I have Washi-Tape-Phobia). My friend said - just stick it on your pictures or whatever. I distressed the paper with Saddle Ink and the Edge Distresser. If you want to stop and shop for any of these fun goodies, take a little detour to my CTMH website. But don't forget to come back, so you can keep on hoppin'! 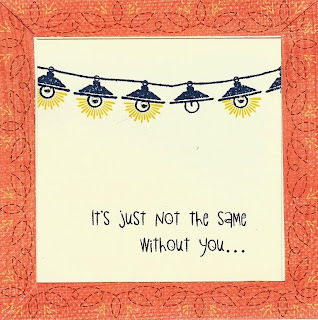 Now hop on over to Kami's blog to see her beautiful artwork! Winter Cards ... Penguins and bears...oh, my! Holiday Gift Guide Bloghop - Hooray!